We’ve just added a range of greeting cards featuring beautiful scenic photography by Jackson Turner. Jackson is a travel enthusiast with a love of nature, scuba diving and photography. He’s excited to contribute to Noteworthy Cards because he likes to support good causes—especially those that help people in need while being environmentally friendly. Shot on 35mm film during Jackson’s travels around the world, the Turner Collection brings an international flavour to Noteworthy Cards. With blank insides, these cards can be used for any occasion. 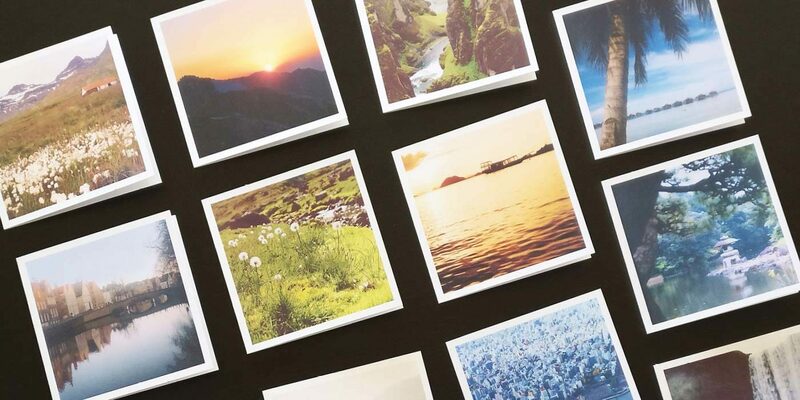 They’re also environmentally friendly—the cards are 100% recycled, certified FSC® Recycled, manufactured carbon neutral, produced by an ISO 14001 certified mill, and recycled without chlorine bleaching.